Dr. Russell Blaylock, MD is one of the most knowledgeable neurosurgeons in the world and he is also one of the most outspoken ones when it comes to explaining the dangers that vaccines pose to children, women and everyone else. Dr. Blaylock has made it his mission, purposely or not, to warn people about the damage that vaccines cause on children’s brains and how such damage affects neurological development. Some of the points Dr. Blaylock makes whenever he appears in public or during interviews with news media is that vaccines are indeed neuro-disruptors, and that the damage on the brain is more severe on children, because their brains are not fully developed. Brain tissue in children is more sensible to mercury, adjuvants, formaldehyde,and aluminum used in vaccines, than the average adult. As Dr. Blaylock has explained in multiple occasions, vaccines are the cause of numerous health side effects such as asthma, allergies, autoimmune reactions and even diabetes. Why is it then, that many physicians still recommend and even enforce vaccinations on pregnant mothers, new born children and toddlers? It is also hard to explain why do health authorities enforce mandates, not laws, and threaten parents and children alike for not following the traditional vaccination schedule, which by the way has been filled up with more vaccines than just a few years ago? It’s not that pharmaceutical companies have a good history of contributing to the prevention or cure of disease, is it? In fact, when facts are checked, none of the major vaccines being applied for years helped attenuate the consequences of disease. As explained by Tetyana Obukhanych in her article Herd Immunity: Myth or Reality?, vaccine shots such as MMR, which are given in two or three doses, do not effectively help prevent disease or to avoid the spread of disease. After retiring from medical practice, Dr. Russell Blaylock dedicates his time to travel around North America educating people about the dangers of vaccines on children and adults. It was during one of his speeches that Dr. Russell Blaylock explained the effects of vaccines on us all. “Vaccines produced a mass loss of health,” said Dr. Blaylock. According to him, the population is about to be the victims of an sharp increase in vaccine immunization, which will be imposed by health authorities. “In out lifestime, we’ve seen a change in the way doctors are trained,” said Blaylock, who added that he’s seen the growth of an arrogant position from doctors towards the patients to the point where many lives have been lost or changed for the worst because of medical arrogance. “By age two years a child receives 36 vaccinations in most cases, with as many as 42 in some cases.” According to Dr. Blaylock, research shows that if animals were injected as many vaccines as humans are receiving today, the chemicals in those vaccines not only interrupt the natural development of cerebral activity, but also change the way such development occurs. “I cannot think of anything more insane than vaccinating pregnant women,”says Dr. Blaylock. Yet, the media and the medical industry promote that very practice year in and year out, especially during flu season. What are the risks of vaccinating pregnant women? It depends on the time of the pregnancy during which the women receives a vaccine. For example, studies have found that when vaccinated with the flu shot during the second semester, children may be born schizophrenic or suffer from autism spectrum disorders. It is not the flu virus what actually causes these effects on unborn children, but the immune reaction that the mother experiences after been vaccinated what damages the child. As studies have shown, the flu virus does not get transmitted from the mother to the unborn child during pregnancy, therefore, vaccinating a mother does not even have a justification. “It is the immune citokynes generated by the mother in response to the vaccine which enter the baby’s brain and cause brain development problems,” explains Blaylock. “What we are going to see 20 years from now, is a significant increase in schizophrenia and autism.” Dr. Blaylock warns that, just as it is done today with autism syndrome disorder, in the near future, government agencies and the pharmaceutical industry will claim not to know what the cause of the rise in schizophrenia is. According to Dr. Blaylock, who cites studies conducted on the top six pharmaceutical companies that manufacture vaccines, discovered that over 60 percent of the vaccines produced mostly in the United States and China, are contaminated with live viruses as well as chemicals such as formaldehyde, bacterial and mycoplasmal tissue and MSG. He cited the case of vaccines contaminated with traces of pestivirus, which is known for causing spontaneous abortions in pregnant women. According to new government figures just released today, autism in the U.S. has increased by a whopping 30% in just two years. The new estimate is that one in every 68 kids in America falls somewhere on the autism spectrum now. Much of the increase is believed to be from a cultural and medical shift, with doctors diagnosing autism more frequently, especially in children with milder problems. While that may account for the increase over the last two years, can that explanation really account for the overall autism increase trending over the last two decades? The prevalence rate for autism before 1990 was only three children per 10,000. When the CDC began surveillance of the study population above in 2000, figures clocked in at one child in every 150. Since then, autism diagnoses have been steadily increasing each year. One trend that has remained the same is the five times higher prevalence of autism in boys, at one in every 42, over girls, at one in every 189. In the early 1950s, there were four vaccines: diphtheria, tetanus, pertussis and smallpox. Because three of these vaccines were combined into a single shot (DTP), children received five shots by the time they were 2 years old and not more than one shot at a single visit. By the mid-1980s, there were seven vaccines: diphtheria, tetanus, pertussis, measles, mumps, rubella and polio. Because six of these vaccines were combined into two shots (DTP and MMR), and one, the polio vaccine, was given by mouth, children still received five shots by the time they were 2 years old and not more than one shot at a single visit. Since the mid-1980s, many vaccines have been added to the schedule. Now, children could receive as many as 24 shots by 2 years of age and five shots in a single visit. Vaccines contain a vast array of potentially dangerous ingredients, including antibiotics, formaldehyde, monosodium glutamate (MSG), bovine fetal tissue, polysorbate and heavy metals like aluminum and the mercury-containing preservative thimerosal. When these are shot into the bloodstream, they bypass the majority of the body’s natural immune system which resides in the gut. While many media outlets are saying this proves conclusively that vaccinations aren’t causing autism (the story quoted above was titled, “Autism Awareness: Disorder Begins Before Brain Is Fully Developed, Making Risks From Vaccinations Impossible”), that’s more media spin than reality. In fact, this particular story goes on to contradict its own title. But these trends aren’t reflected in other parts of the world. Asia, Europe, and other parts of North America display far lower prevalence rates, sometimes as low as one percent, which presents U.S. researchers with a curious challenge. There are no blood tests to diagnose autism, and behavioral observation is by nature imperfect. Some say we over-diagnose, especially on the higher-functioning end. Some say America’s obsession with vaccinations is to blame. So the question remains: How do stop something if we don’t fully know what it is? Pregnant mothers are consistently told they need to get all kinds of vaccines in the U.S., including flu shots, one of the vaccines known to still contain thimerosal. How can something be “impossible” if it hasn’t entirely been ruled out? The debate, then, rages on. Treatment for Enterocolitis Brings Huge Benefits in Autism: Wakefield Vindicated? Dr. Wakefield was vilified for his research demonstrating a connection between enterocolitis associated with the MMR vaccine and autism. His work, though, is now producing results in the life quality of children afflicted with autism and its entercolitis pain. Watch this video to see the dramatic changes in some children’s lives, even a 15-year-old boy. There truly is reason to believe that these children can be cured, and even go on to lead normal lives. A new study from the Pesticide Action Network says that the more than 1 billion pounds of pesticides used in the United States every year may be having detrimental effects on children’s health. While it may seem like a statement from Captain Obvious, the industry that makes these pesticides insists they are safe. Safe to have on our foods, in our air, and leeched into our water. And just as safe for children as they are for adults. But, the Pesticide Action Network North America (PAANA) says, that simply isn’t the case. Their research, and research that has come before them, indicates these chemicals (used to kill things incidentally) are contributing to things like autism, birth defects, early puberty, obesity, cancer, diabetes, and asthma. 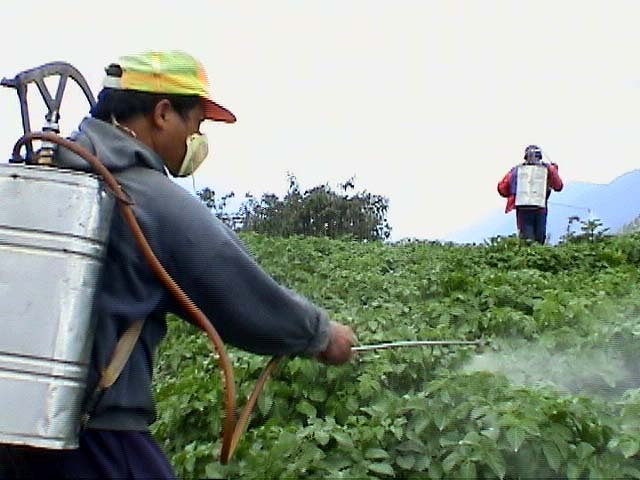 Researchers drew their conclusions from dozens of studies that linked pesticides with serious health concerns. These studies show that the effects of pesticides on children are even more pronounced than they are in adults. After all, everything is smaller and still developing in the young. For their part, the pesticide industry says these findings are simply untrue—that their chemicals are harmless for everyone, that they are tested for safety and wouldn’t be used if they weren’t safe. Of course, their vested interest in the continued belief of their chemicals safety wouldn’t be playing a role in their insistence, would it? Pesticide companies and companies like Monsanto, for instance, are notorious for funding studies that “prove” their safety—because truly objective studies would hurt their bottom line. Thousands of women who take anti-depressants during pregnancy are endangering their unborn babies, researchers have warned. The widely prescribed pills have been found drastically to raise the odds of miscarriages, premature birth, autism and life-threatening high blood pressure, they say. Harvard researchers believe far too many women are taking the drugs during pregnancy because their GPs are not aware of the dangers. They also suspect that drug companies are trying to play down the risks because anti-depressants are so lucrative to them. They focused on the complications linked to a group of drugs called selective serotonin reuptake inhibitors (SSRIs), which include Prozac and Seroxat. 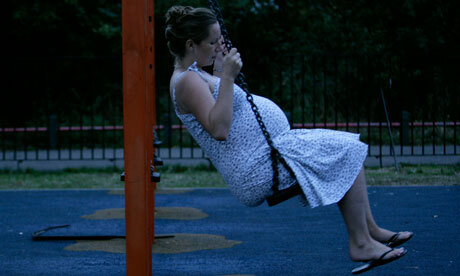 Between 2 and 3 per cent of pregnant women in the UK are thought to be on these drugs – up to 19,500 every year. But the researchers have found that they increase the risk of a miscarriage by 17 per cent and more than double the likelihood of pre-eclampsia – high blood pressure during pregnancy – which can be fatal. They also double the chances of the baby being born premature, or developing autism. In addition, the researchers say, the babies are more likely to suffer from heart defects and problems with their bowels. Dr Adam Urato, assistant professor of obstetrics and gynaecology at Tufts University School of Medicine, in Boston, who was involved in the study, said: ‘I am absolutely concerned – very concerned. ‘We are witnessing a large-scale human experiment. Never before have we chemically altered human foetal development on such a large scale. Dr Alice Domar, assistant professor in obstetrics, gynaecology and reproductive biology at Harvard Medical School, said there was little evidence the pills effectively treated depression. She said GPs were handing out prescriptions for the drugs even though depression could be far better treated through exercise, talking therapies and even yoga. ‘These are probably not particularly safe medicines to take during pregnancy,’ she said. ‘We’re not saying that every pregnant woman should go off her medication. The researchers, who presented their findings to the annual conference of the American Society for Reproductive Medicine in San Diego, California, have analysed more than 100 existing studies looking at the risks of SSRIs. Their findings are due to be published next week in the respected journal Human Reproduction. The researchers say that if women take the pills when they are trying for a baby but come off as soon as they find out they are pregnant, it may be too late.